Myphone MYT1 DTV Firmware is here for reasearch download, this is tested pac file that can be flash through free flash tool. Infected Virus - Also known as Monkey Virus where when you connect to Internet, there is automatically download apps or some popup screen and sometimes automatically turn on WiFi or data connection without doing it. The virus will not remove though hard reset or formatting your phone. Installing new firmware is the best solution. Unfortunately Error - This is when you open some apps it will popup Unfortunately, App has stopped. If cannot fixed through clearing the data, then flashing new firmware is also the solution. Thanks and credit to Moxxx for taking time to back up and upload. First download SPD SCI Android USB Driver V4 by jungo the complete driver for Spreadtrum. After download, extract anywhere in your computer, Open extracted SCI-android-usb-driver-jungo-v4 folder then select system type if 32-bit or 64-bit. - To know your system type, go to control panel click on System and Security then click System. or simply right click on Computer and click Properties. you will see like this. mine is 32 bit (also known as x86-bit). Then run DPInst.exe. Just click next until it finish installing. You can also try Alternative SPD Driver for windows 8 and 10 the Miracle Driver Installation Windows 8_10. NOTE: Before proceeding, make sure that your android smartphone should have atleast 30 to 50 percent of battery to perform flashing. Download the SPD_Upgrade_Tool_R4.0.0001 latest version, or SPD_Upgrade_Tool_R299015 lower version. Then extract to your desired location. 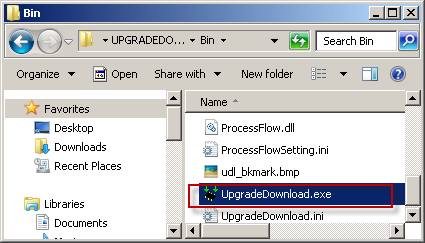 Open your extracted files and run ResearchDownload.exe, For lower version open Bin folder and run UpgradeDownload.exe. NOTE: UpgradeDownload and ResearchDownload is the same, UpgradeDownload is just the name of the lower version but they are both SPD Upgrade tool. In this instruction I will use UpgradeDownload and a Use Cherry Mobile Pac file as a sample. In UpgradeDownload window, click on single gear icon to Load Packet and browse for pac file(firmware/stock rom) you downloaded then click open. follow this screenshot. Loading a pac file may took long depend on file size. After loading a pac file, now ready to start flashing, You can also click on Settings on two gear icon if you want to unchecked some part of firmware like EraseRuntimeNV, This will not work on lower version. I recommend that leave it unchanged if you don't have any idea. - Turn off first your phone, remove battery (if removable) then bring it back. - Then in your phone press Volume up and Volume down then connect USB cable. If you see a a progress bar, then it means that it is successfully connected. if not, then try step 5 again. Wait until you see a Passed in progress, that means, you installed a new stock rom successfully. After you flash the firmware, you can now turn on your phone, take note that first time start up may took long. but if it tooks more than 15 minutes then I suggest to perform a hard reset. 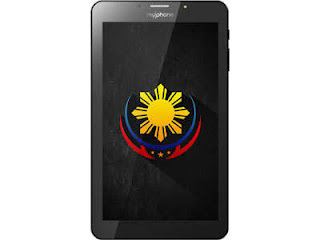 Flashing the above firmware will fix some major problem of Myphone MYT1 DTV Firmware, Like Boot Loop, Stuck On logo, Hang up, Dead boot, Infected Virus, Auto Download, Slow or Lag and other software Problem. but still thanks for sharing the file. need po ba na may certain battery percentage(50% or 60%...) bago ko po iflash?